We manufacture self adhesive Wood Free Adhesive Paper which as got excellent smooth surface for printing 90% opacity excellent brightness and whiteness. 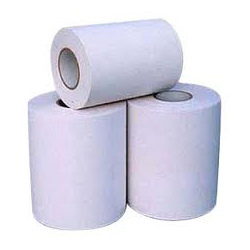 This paper widely used in the stationery market. Looking for Wood Free Self Adhesive Paper ?